This year I am trying to experiment different ways of making money online. This involves making money online via different platform, such as media.net, Fiverr, and affiliate marketing. Today I am going to share with you how I was able to make 15 dollars within 2 days on fiverr. I know that is pretty paltry when compared to the number of guys that make huge amount of money from the marketplace, but it is amazing to me since I just joined Fiverr barely 12 days ago and of cause, you know I don’t have much idea about how it is run till after I had reached my first target. 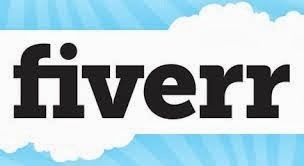 I use to hear about Fiverr, but I never knew that one can actually make some money via Fiverr. I went wow when I received my first order. It was amazing and I thought in my heart that I can actually create some time for this Fiverr business of a thing. Though I can’t compare my success to that of Ebenezer Obasi, but it is simply exciting to know that I have actually made some dime from Fiverr without getting the help of any expert or coach to supervise me on how to get started. I registered on Fiverr barely 12 days ago, was sent a verification link to my email which I clicked to activate and the journey began. I thought of putting some of my web development skills to work and fronting it to thousands of fiverr visitors to see if I can actually make some hit which I did and I am yet to see potential buyers.You can be the first to order my web development gig. The first Gig I created was to make a 30 seconds dance video of me dancing in an African way wearing my African attire. I least expected to get a lot of recommendations from that gig.. As usual, I explained what my gig was all about, created an eight seconds video on how I was going to make that work, uploaded a beautiful picture showcasing the African culture, and that was it. The next day I could realize that I had gotten about 4 messages requesting me to do something similar to the gig I placed. Since I agreed to the request , I was sent several projects to choose from to make the video. I have actually done the gigs requested by my client and now is time to get more client begging for more. Fiverr is such a wonderful place. Now I know why many persons make money from Fiverr. A unique idea can actually make your potential buyers run after you. Even though I am still very new to Fiverr, 12 days is actually enough time to gain experience to give advice to some other interested persons. You too can actually make money if you invest more time on different thing. All you have to do is simply post a gig that is unique and may attract a lot of potential buyers. There is creativity in thinking. To start making money via Fiverr, simply visit the official website at www.fiverr.com. You are gonna love what you see. For more tips, please let me know via the comment box below. Feel free to order my gig. There are other things I can actually do for you, I can suggest a nice domain name for you, I can create a website for you and more. If you need that, simply request for my gig and you are good to go. I love learning, so share your tips with me too. WOW thats really great milestone.